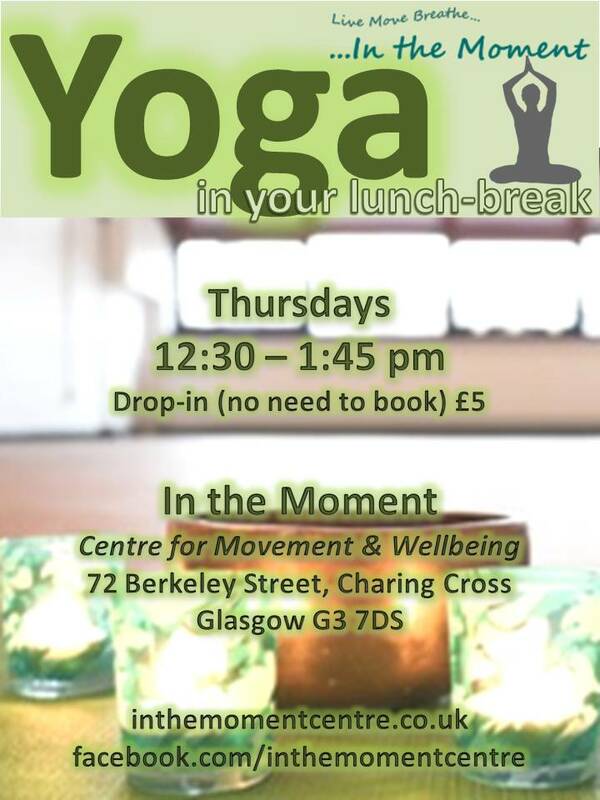 Jude will be teaching a new lunchtime yoga class starting at In The Moment on Thursdays 12:30 – 1:15 pm – from 23rd May. A 45 minute yoga class to help you stretch and relax in your lunch hour, but we promise that you won’t get too hot and sweaty if you have to go back to work! Suitable for anyone with any level of fitness or yoga experience, this class will focus on loosening up areas of tension in the shoulders and neck, stretching out the legs and back, and focusing on breath awareness and mindfulness techniques to reduce stress and calm the mind.